This CD reissue of one of John Barry’s most memorable film scores has been digitally restored and remastered from the original 1960’s recording. The seedy and realistic spy thriller starring Michael Caine is perfectly accompanied by Barry’s haunting score. 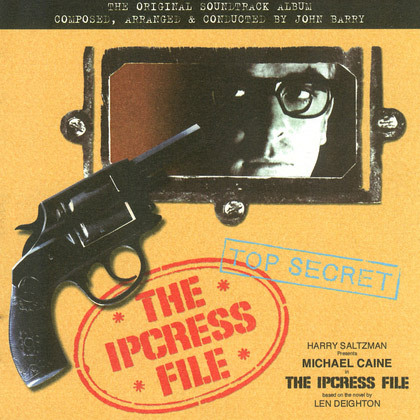 “If you want to see an example of what music does for a movie, go and see THE IPCRESS FILE. Then you’ll understand what John Barry’s all about” – Michael Caine. Over the past few years the popularity of John Barry’s music has enjoyed something of a renaissance. This re release from Britain’s most successful and acclaimed composer is set to be one of the best selling soundtracks of 2002.